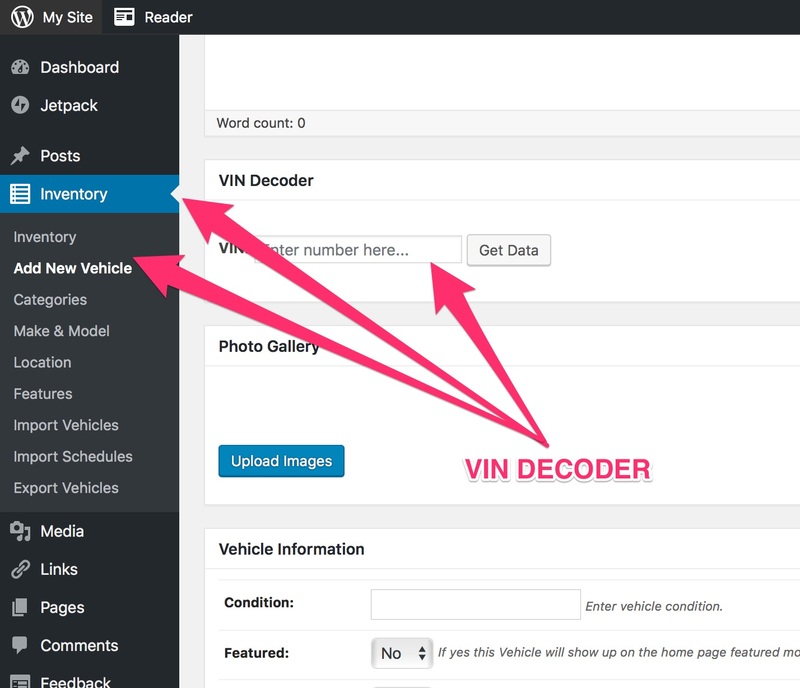 Using Car Dealer VIN Decoder is the easiest way to add vehicles to your inventory. 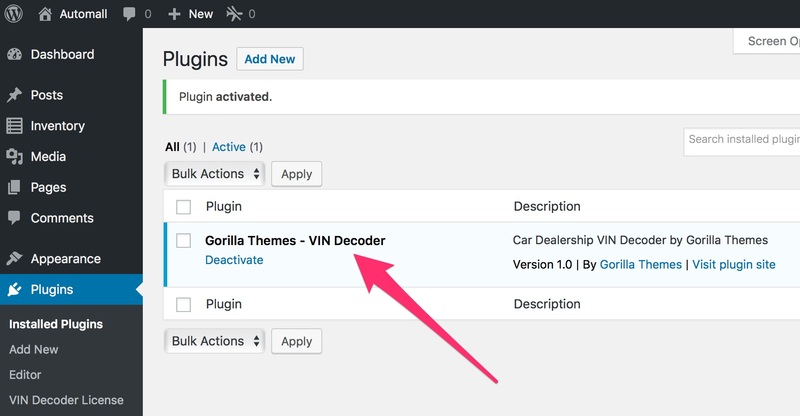 After the file is uploaded to the theme click on Install now and then Activate to activate the VIN Decoder Add-on in your theme. Start using the Vin Decoder add-on. 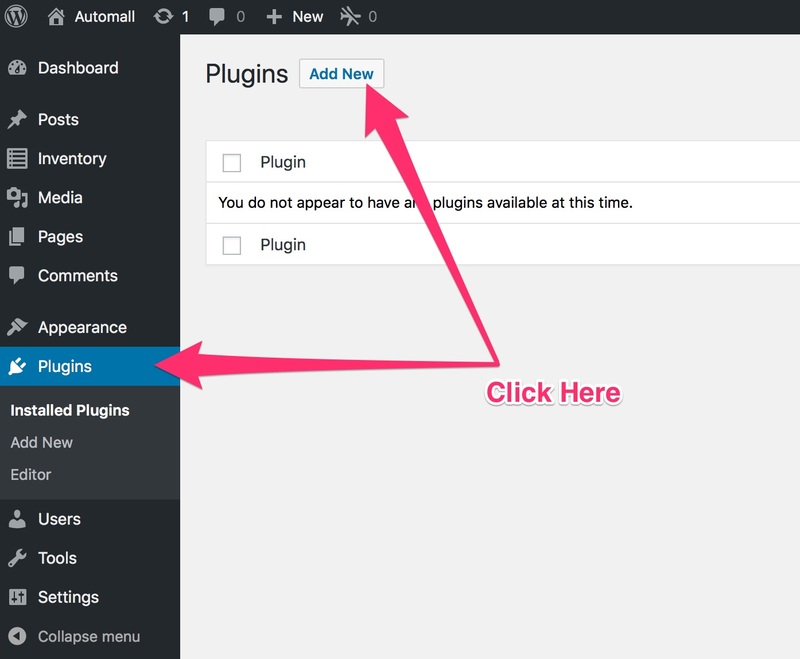 Go to Dashboard > Inventory > Add New Vehicle and enter a VIN to get pre-filled vehicle data ready to be published. VIN Decoder is already included on Ultimate package.